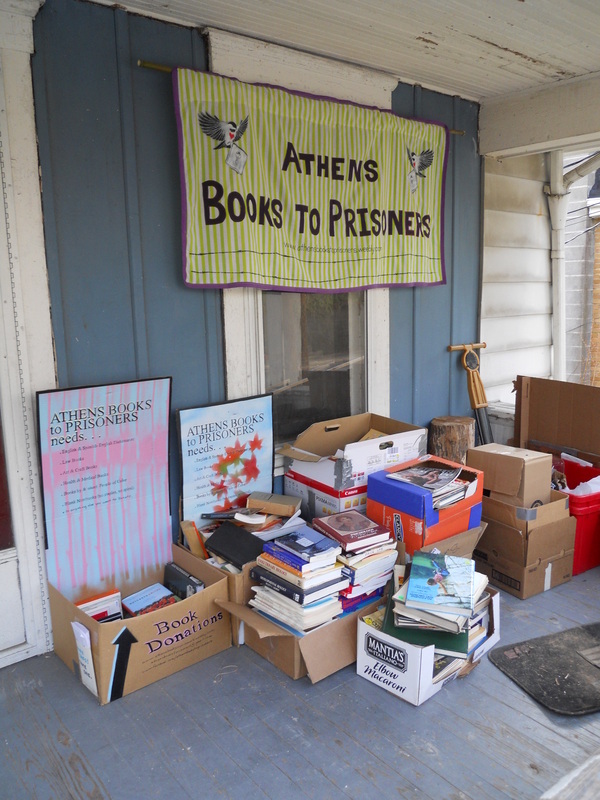 Athens Books to Prisoners is always in need of volunteers to help us pack and mail books to fill requests from people in prison. We meet and pack books every first and third Wednesdays from 6:30 pm to 8:30 pm at 30 1st Street on Athens West Side. If you'd like to join follow this link to the signup. If you are a member of a large group who would like to come and pack books together, we would be thrilled to host a one time special event. Groups hosted in the past have been service organizations, religious organizations, bridal parties,sports teams, and group of friends and family. Just email us, and we'll set something up! Having enough funds is a constant struggle for us. If you have ideas and would like to organize a fund raising event, let us know. We would greatly appreciate the help! You can also help by signing up for Kroger Community Rewards! Got to Community Rewards and click edit. Click the dot to the left of Athens Books to Prisoners.